The Brett Favre saga might come to an end today – or not. The legendary quarterback will meet with Green Bay Packers’ coach Mike McCarthy. And the coach will decide if he still has enough fire to compete. If so, Favre is likely to compete with Aaron Rodgers for the starting job in Green Bay. If not, the Milwaukee Journal Sentinel says Favre could still be traded to the Minnesota Vikings. The paper quoted an N-F-C personnel executive who said the Packers called Minnesota on Friday to say he’s available. he standoff turned into a national soap opera in the past month. And on Saturday, N-F-L Commissioner Roger Goodell said he would end it today if the two sides didn’t do it themselves. 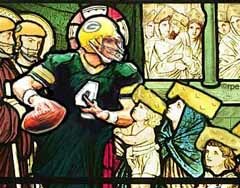 Yesterday, the league said they would reinstate Favre as of noon today – apparently convinced a resolution had been agreed upon.But even after last night’s scrimmage, McCarthy could not say for sure if Favre will be in a Packer uniform the next time the team practices tomorrow. Stay tuned.